Looking for the right B350 motherboard to go with your AMD Ryzen system? Here are five, around $100, options we recommend. One of the best things that AMD has to offer with its Ryzen platform is a chance to get a CPU with a lot of cores that has respectable performance in games for cheap. 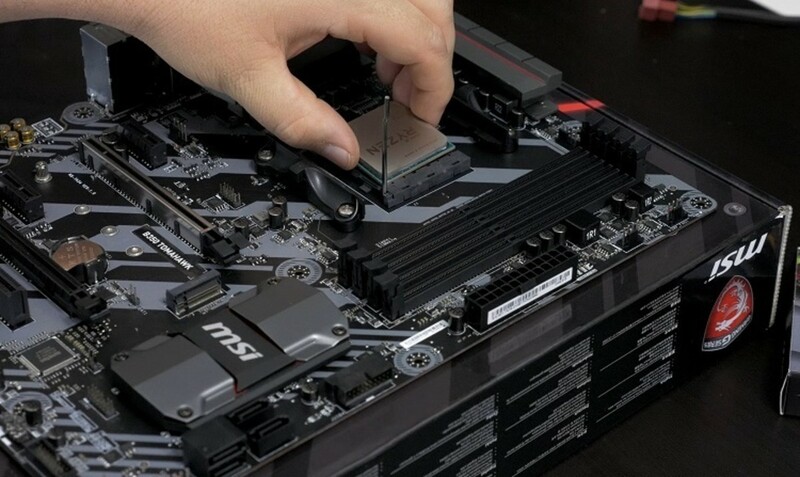 Overclocking a Ryzen CPU is not only possible on the more expensive AM4 x370 motherboards, but also on its inexpensive B350 and B450 chipsets as well as small form-factor motherboards. This makes a budget build with a lot of cores easier to stomach. 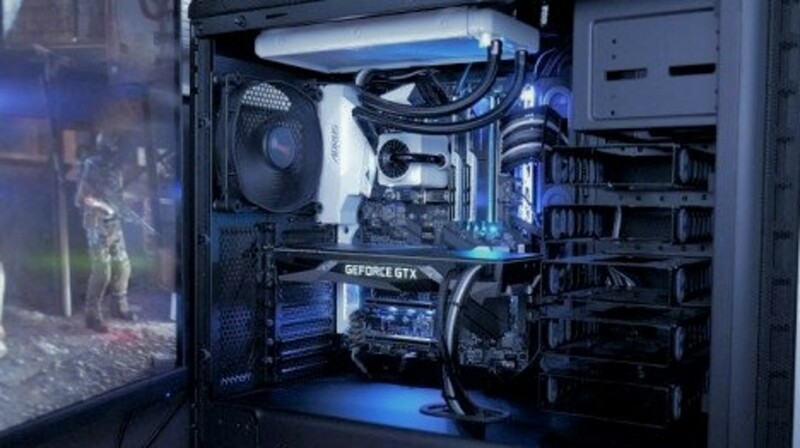 The appeal is there for gamers, editors, graphic designers, and just about anyone who can take advantage of the extra cores and budget pricing. There aren't that many differences between the B350 and B450 chipsets. Most importantly B450 motherboards come out of the box compatible with 2nd generation Ryzen processors. While many of today's B350 motherboards already have their BIOS' updated, it may be something you'd rather not have to worry about. So, if possible, you'll want to go with the newer technology. If you've got something like a Ryzen 5 1600, you may be able to save some money going with the previous generation. AMD's Ryzen 5 2600 processor is known to be one of the best gaming processors for the money. 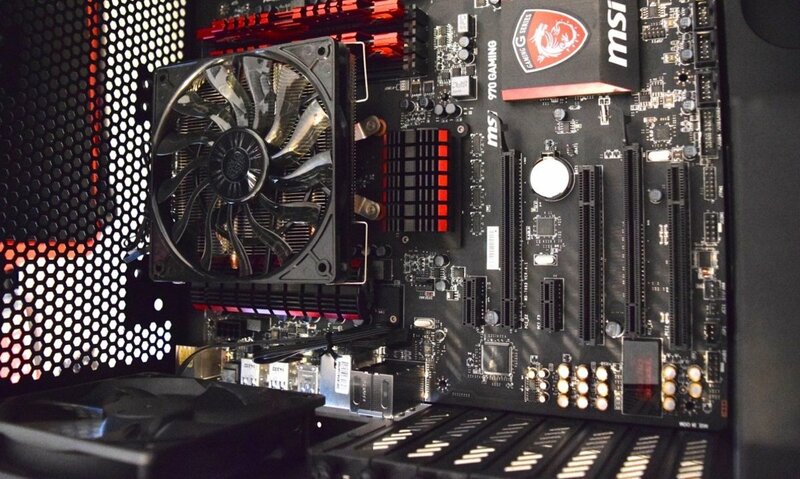 So, if you're looking to combine that power with a B450 motherboard which should you choose? We like Gigabyte's B450M DS3H. It gives you a lot of value for the money you spend. That being said it doesn't give you a lot of bells and whistles. The Realtek ALC887 audio codec is a budget but decent performing option for the onboard audio and the Lan controller, the Realtek GbE LAN, also does a very good job. Ultimately you get the B450M DS3H for around $70 and don't miss out on that many features. You can still overclock while having a decent amount of expansion options. If there's a downfall, it does only have one CPU fan header and case header. So, keep that in mind. For us, the most appealing combination that AMD’s Ryzen has to offer right now are its R5 1600 and R7 1700 processors. With an overclock these can meet the performance level of the more expensive “X” models in the R5 1600X, R7 1700X, and R7 1800X. If you’re all about getting the most value out of the money you spend, you’ll likely agree with us. We’re pointing this out because a majority of reviewers out there used expensive X370 motherboards, like the Crosshair VI Hero, to do their Ryzen benchmarks. That being said, the difference in the overclock you can achieve with these boards when compared to a good B350 AM4 motherboard is minimal. Those who don’t care to overclock may find value in the more expensive models that run at higher clock speeds. 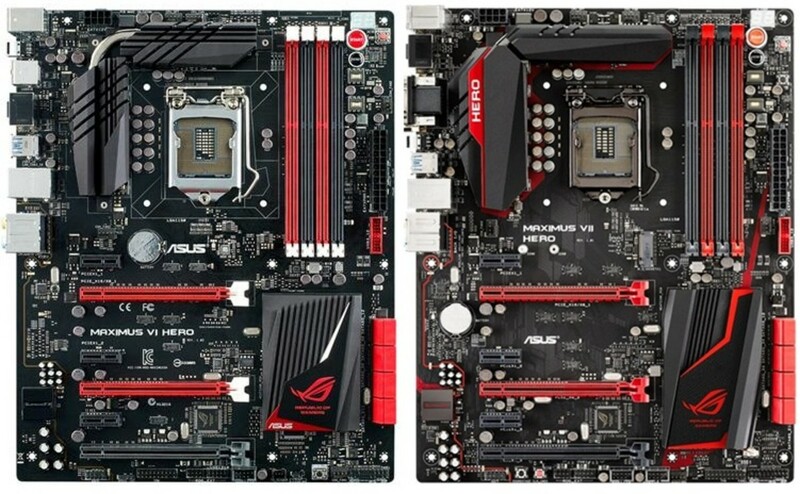 So, what are the differences between the X370 and B350 chipsets? Both chipsets have support for multi-GPU setups. They both feature 2 PCI-e x 16 slots that run as x 8 whenever you’re using a dual GPU configuration. However, X370 supports SLI and Crossfire where B350 only supports Crossfire. For those of you who only want to use a single GPU, this shouldn’t be a problem. Other than graphics card support, X370 offers 4 more Gen 1 USB 3.1 ports, 2 more SATA ports, and, of course, whatever differences the manufacturer has added. Looking for the right AM4 B350 motherboard for your Ryzen system? Here are a few of our favorites for budgets of $150, $100, and micro ATX systems. Prefer a SFF build? 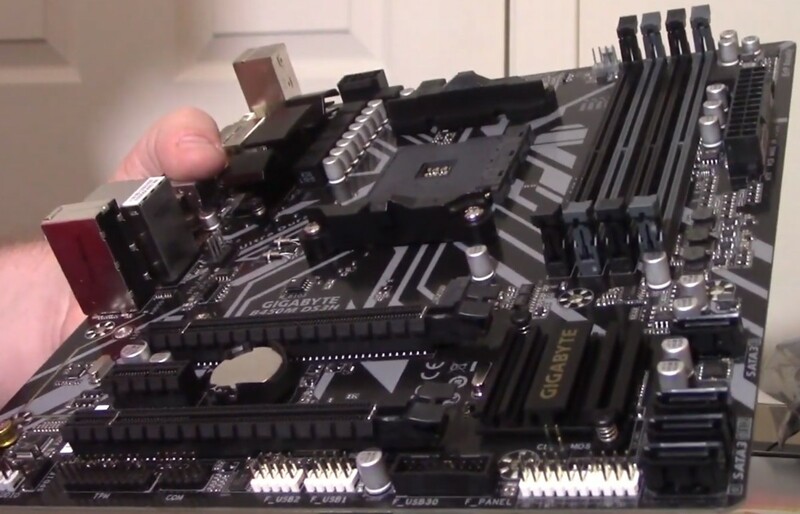 Here’s a review of our top rated Intel ITX motherboards. You can also take a look at our new list of Intel Z370 boards here. 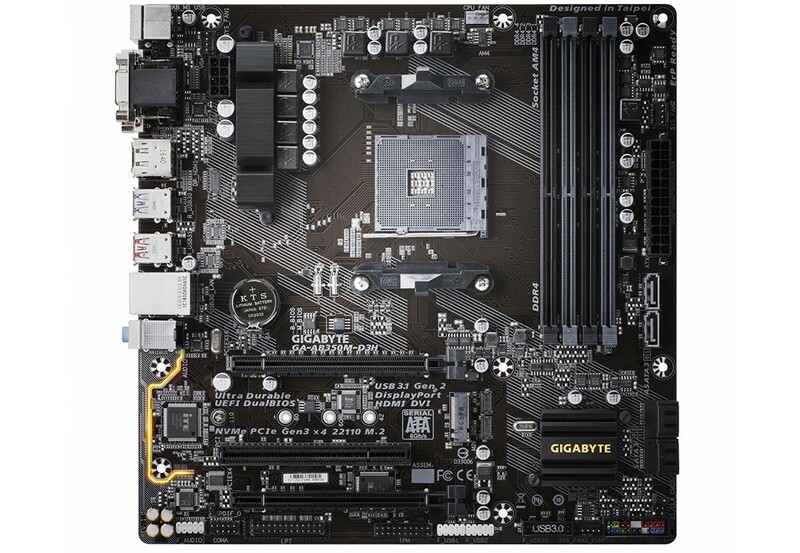 Have about $100 to spend on your B350 chipset motherboard? Here’s a couple that should be at the top of your list. If you want a no-frills motherboard that should allow you to get a solid overclock and post 3200MHz memory speeds, the Gigabyte GA-AB350 Gaming 3 first board I’d recommend. As Ryzen performance seems to really like faster Ram speeds, this should be a priority for just about everyone. Some patience is required, on the whole, simply because various kits haven’t been working correctly on various boards. However, this one seems to be one of the better options we’ve used so far. If you’re buying it soon, we won’t guarantee that you won’t have any hiccups with it. Be sure to continue installing updates for the best support. If you’re looking for a kit we recommend, the G. Skill TridentZ series has worked great. In terms of support, you get pretty much everything the typical consumer needs including M.2 support, Crossfire support, up to 64GB of memory up to 3200MHz, and a good audio chipset in the Realtek ALC1220. In addition, we feel like the Gaming 3 offers solid support for DDR4 3200 memory. Check out our list for confirmed B-die options. Overall, this is a great board for a great price. We’ve seen it as low as $100 and as high as $125 so be sure to look around. At a price of just under $100, the Prime B350-Plus from Asus comes in at just below the retail mark of the Gigabyte Gaming 3. 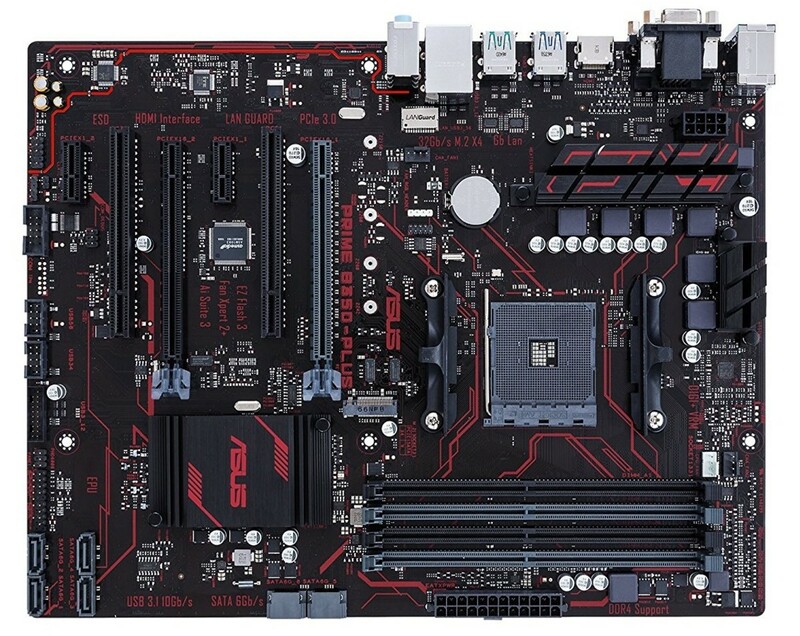 When I think of the tradeoffs between similar boards in this price range and the Asus Prime B350-Plus, I can’t help but to want to recommend it. First of all, Asus has been fantastic about putting out new updates on this board. Many AM4 motherboards had small issues from the start but for the most part, these have been resolved. It’s also a good overclocker and should allow you to overclock your Ryzen CPU as far as the processor itself will allow. Of course, this depends on your CPU cooler as well. The B350-Plus has 2 PCIE e 3.0 x16 that revert back to x8 when used in Crossfire, M.2 support, 6 SATA options, and a total of 10 USB ports on the rear panel. 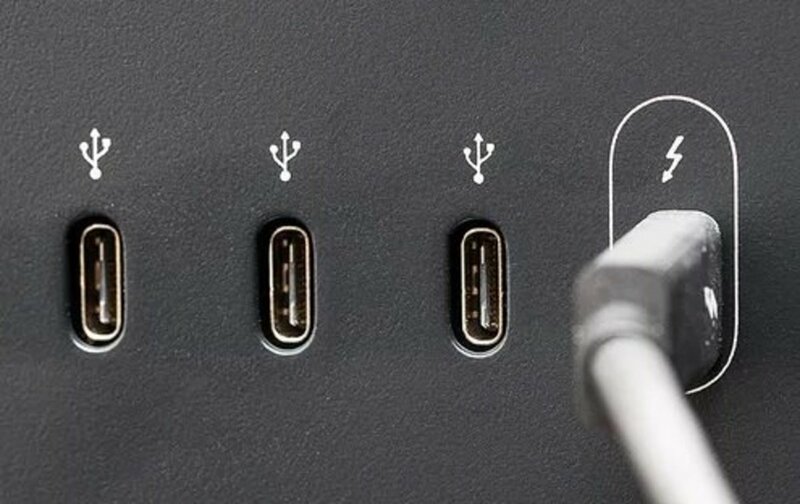 These include 2 USB 3.1, 4 USB 3.0, and 2 USB 2.0 options. For Audio, the B350-Plus Prime uses the Realtek ALC887-D2 chipset which is a solid option at this price range. In terms of design, it’s fairly basic with a red and black color scheme and no oversized or gaudy parts. We’re fine with that as it keeps the price down. 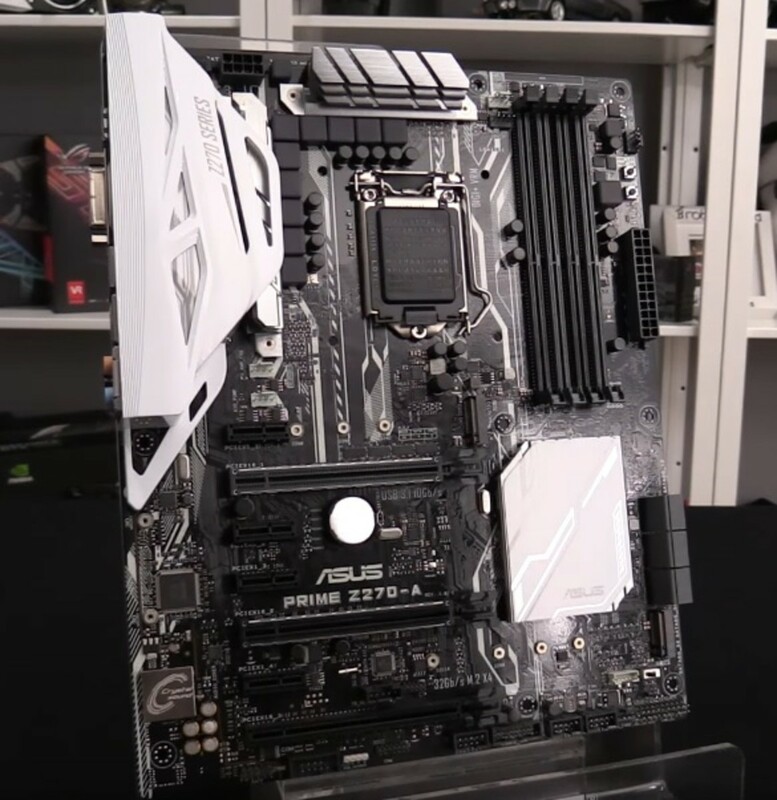 In summary, the Asus Prime B350-Plus is a fantastic option for the budget-minded consumer albeit secondary to the Gigabyte board we mentioned above. While this board isn’t our budget winner, we felt it should be talked about here because of its popularity right now. It is a good and cheap B350 motherboard that will allow you to get your 3200MHz speeds and solid Ryzen OC. However, some have had an issue with the BIOS making the boot time longer. We did have this same issue in our Ryzen 5 1600x build. This should be something that gets worked out shortly, but knowing that you may have a similar issue is something we thought was worth mentioning before you go out and buy it. That being said, MSI has released a ton of BIOS’ on it at this point in time. Each one of these has had a particular issue with it; however, it’s clear that MSI is committed to getting the kinks worked out. If you do go with it, be sure to update it to the most current BIOS out of the gate. It’s possible that by the time you actually see our review, MSI has worked out all the kinks we’ve mentioned above. As we have confidence in MSI, we’ve still mentioned it here because of the value specs you get for the $110 to $125 price tag. Pros include support for up to 64GB DDR4 memory at 3200MHz OC, Realtek 8111H LAN chipset, Turbo M.2, Realtek ALC892 audio chipset, and more included in our specifications above. Looking for a B350 motherboard for your mATX gaming PC? Here’s the one we’d recommend. Gigabyte has done a fantastic job with the AM4 platform thus far, and the GA-B350M-D3H is a fantastic option for those of you building a mATX system. With HDMI, DisplayPort, DVI-D, and D-sub outputs you have just about every option you need to connect your PC to the TV or monitor of your choosing. In addition, this board has a plethora of rear ports including 4 x USB 3.1, 2 x USB 3.1 Gen 1, 2 x Gen 2 Type-A, and 2 x USB 2.0. M.2 and 6 SATA options also mean you have plenty of option for all of your storage. It uses the same Realtek GbE LAN used on all but Gigabyte’s X370 boards and even has the Realtek ALC887 chipset that is found on many good X370 motherboards. Overall, this is a good mATX board if you’re looking in the under $100 price range. There is some work that needs to be done in terms of BIOS updates; however, this is the still the case with most boards on the platform right now. So, be careful about what types of RAM you purchase and know what you’re getting into before you start. Overclocking your Ryzen processor should be fairly straightforward. Last but not least, take a look at the MSI Gaming Ryzen B350 Gaming PRO. It's inexpensive, has a great red and black color scheme, LED lights, and has an audio boost that works great with my headphones. The Gaming PRO is great for overclocking memory. And since Ryzen loves fast memory, use this to overclock your memory.